Showings are Wed. Feb. 6th from 9 am to 6 pm. Register on Showing Time. Great Investor Rental Opportunity!!! Instant Positive Cash Flow!!! Rents for $1200 a Month Now!!! Webster Groves!!!! Or First Time Home Buyer, Priced Right to get in Webster Groves!!!!!!! Location! Location! Location! 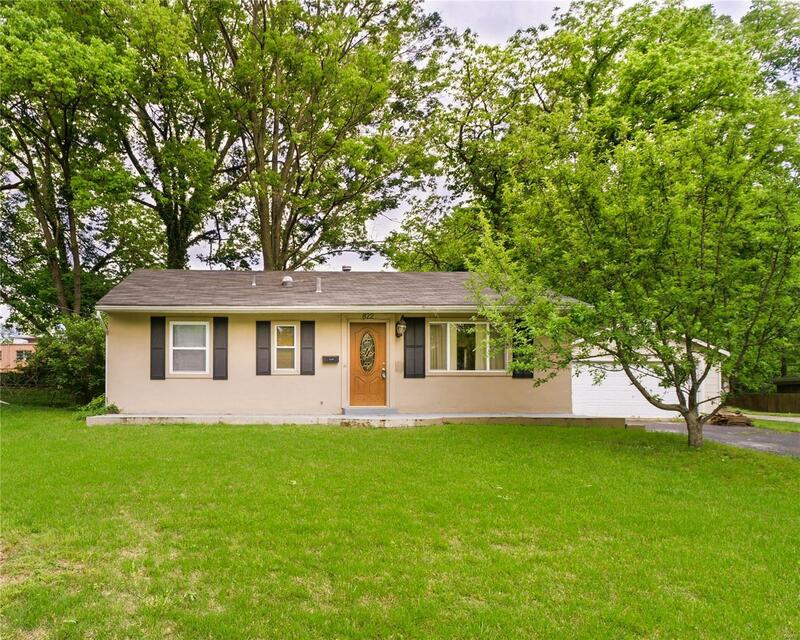 Cute 3 Bedroom Home with Great Curb Appeal on a Quiet, Private Street. Fantastic Webster Neighborhood! This Home Features a Large Living Room with Tile Flooring, Eat-In Kitchen with Breakfast Bar, Opens to Private Back Yard with a Deck and Privacy Fencing. 3 Spacious Bedrooms, Updated Bath with Jet Tub, Main Floor Laundry plus a Large Detached 2 Car Garage. Newer Roof and Windows plus Fresh Paint = Move-In Ready! Easy Access to Hwy 44, Shopping and Parks.